Vanderlande is the global market leader for value-added logistic process automation at airports. We have provided baggage handling systems worldwide, including to 13 of the world’s top 20 airports, which transport more than 3.7 million pieces of luggage annually. Our automated passenger checkpoint (APC) solutions have helped airports efficiently handle millions of passengers every year. Our integrated solutions can be customised to enhance business processes and competitive positions. Innovative systems, intelligent software and lifecycle services all contribute to delivering fast, efficient and reliable logistic process automation. Vanderlande provides innovative scalable passenger handling solutions for check-in areas and security checkpoints. Solutions are designed for an increased throughput and enhanced experience while allowing for airports to easily expand and manage rapidly increasing passenger numbers. We understand that it is important for airports to provide efficient check-in, bag drop and security operations, so we have created an advanced range of solutions. Vanderlande PAX CHECKPOINT is a specialised APC system that aims to help airports operate securely and ensure a positive experience. Innovative Advanced automated screening lanes and Multiplex screening software are used in our integrated checkpoint solution. The systems are designed to increase passenger throughput and adapt to traffic flow. We collaborate with airports to ensure we deliver all of the required components for each security solution. Other security technologies can be combined with our systems to provide high-quality efficient performance. Our series of innovative and scalable baggage handling solutions makes use of an integrated range of advanced systems, smart software and lifecycle services to support airport operators. Vanderlande baggage handling systems are tailored for complex and high-demand airport operations that require precise and quick action. FLEET is our latest baggage solution that uses intelligent automated guided vehicle (AGV) technology in place of fixed conveyor and sorting systems. It is a sustainable system that uses up to 50% less energy than alternative solutions. FLEET is scalable and cost-effective, providing compact functionality through the high-quality performance of the system. Other Vanderlande baggage handling solutions include the individual carrier TUBTRAX, which provides high-speed transport for baggage across long distances, as well as the BAGSTORE temporary baggage store, which has 100% built-in redundancy. We also offer the unique BLUEVEYOR conveyor, which is free from toxic chemicals, and our STACK@EASE customisable ergonomic loading aid. Find out more about our range on the Products and Services tab. Vanderlande has a team of experienced project managers that carry out each task with a proactive and supportive approach. 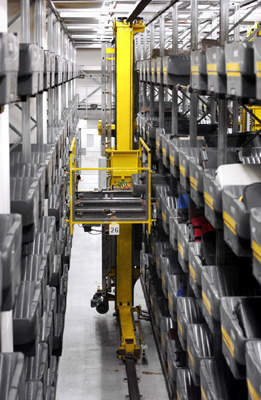 We have a wide portfolio of value-added logistic process automation systems that have been installed across the world. We are dedicated to designing high-quality effective passenger and baggage transit systems to enhance customer experience. Vanderlande's FLEET baggage handling solution has been awarded Red Dot: Best of the Best, the leading classification in the company's design competition. Vanderlande provides innovative solutions for logistical services in airports such as bag drop, check-in and baggage reclaim. BAGSTORE is Vanderlande’s system for temporary baggage storage, using proven automatic storage and retrieval system technology. To increase operational efficiency and reduce energy consumption, environmental impact and costs, Vanderlande is continuously evaluating and improving its material handling solutions. TUBTRAX is a high-speed baggage conveying system and BAGTRAX is an ICS solution that offers high availability through built-in redundancy that handles large variations in baggage flows. PAX CHECKPOINT is Vanderlande's range of advanced passenger airport checkpoint solutions. Vanderlande has proved its project management capabilities with over 1000 references at more than 600 airports worldwide. Rotterdam The Hague Airport (RTHA) in the Netherlands has signed a letter of intent with Vanderlande for the first live baggage handling operation from the company's FLEET advanced baggage transport solution. Vanderlande has signed a strategic baggage cooperative agreement (SBCA) with Vancouver International Airport (YVR) to work together to design and deliver baggage handling projects to meet growing capacity, redundancy and flexibility requirements. Vanderlande will be joining the Toyota Material Handling stand (P32) at the intralogistics and supply chain management exhibition, CeMAT, on 23-27 April 2018 at the Deutsche Messe in Hannover, Germany. Vanderlande has announced that it has become a supporter of the Platform for Accelerating the Circular Economy (PACE), a public-private collaboration co-chaired by the CEO of Philips, and the heads of the Global Environment Facility and UN Environment. Vanderlande will supply an advanced baggage handling system (BHS) to the new terminal at Taiwan Tauyan International Airport (TTIA). Vanderlande would like to invite you to join its press event during the forthcoming Inter Airport Europe event in Germany. Vanderlande has signed a contract to implement an innovative new solution for baggage handling at Lelystad Airport (member of the Schiphol Group). 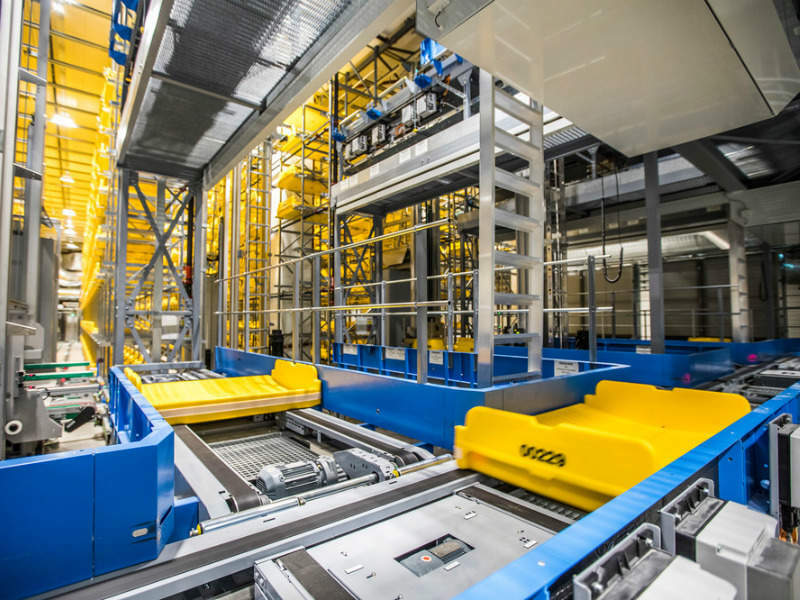 The system at the airport will utilise automated guided vehicle technology (AGV), which replaces the need for conveyors and sorting systems. It also includes a new self-bag drop solution, as well as optimising the travel experience for passengers. Vanderlande and its newly formed business unit Vanderlande Advanced Passenger Checkpoints (APC, formerly Optosecurity) have received approval from the US Department of Homeland Security Transportation Security Administration (TSA) for their Automated Security Lane (ASL) solution integrated with Smiths Detection's aTiX X-ray. Vanderlande is pleased to announce the launch of its new manufacturing and distribution centre in Georgia (GA), USA. 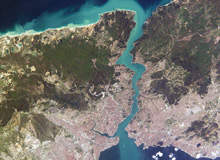 The grand opening took place on Wednesday 28 June, although the facility has been fully operational since Monday 19 June. After working closely together for several years, Vanderlande has acquired the Canadian software company Optosecurity as of 29 June 2017. The acquisition further strengthens Vanderlande's integrated portfolio of solutions and position as the market leader for value-added logistic process automation at airports. 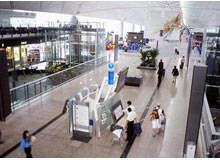 Vanderlande, along with integrated remote screening software partner, Optosecurity Corp., have been notified that their integrated ASL system has been approved by the Transportation Security Administration (TSA) to proceed to airport operational deployments after successful completion of TSA's integration assessment testing. Vanderlande and Optosecurity's ASL will be deployed for Operational Readiness Tests at US Category-X airports this summer. Toyota Industries Corporation's (TICO) acquisition of Vanderlande - the global market leader for value-added logistic process automation at airports and in the parcel market, as well as being a leading supplier for warehouses - has been completed. Originally announced in March, it has been confirmed that, as of today, Vanderlande is now officially part of the TICO group. It gives us great pleasure to invite you to our exhibition stand number 5410 at the upcoming Airport Show Dubai 2017, from 15-17 May at the Dubai International Convention and Exhibition Centre. Vanderlande has announced a total revenue of €1.1bn for CY2016, which represents an increase of 15% compared with the previous year's 12-month figure and a record in the company's history. In addition, the final order book reached an all-time high level of €1.7bn - an 11% increase on CY2015 - for the same period, which will help to support Vanderlande's strategy of sustainable profitable growth. Toyota Industries Corporation (TICO) has signed an agreement to acquire Vanderlande - the global market leader for value-added logistic process automation at airports and in the parcel market, as well as being a leading supplier for warehouses - from the company's current owner NPM Capital. 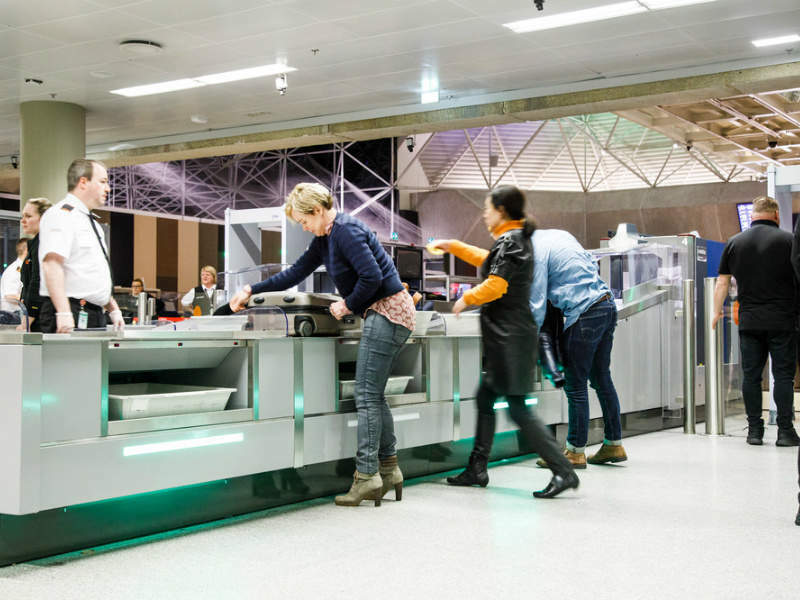 Vanderlande has been awarded the contract to install eight SCANNOJET automated passenger checkpoints at Bergen Airport in Norway. Bergen airport Flesland is the second largest of the 46 airports in Norway, included Oslo airport, owned and operated by Avinor. Vanderlande has supplied and installed 72 STACK@EASE units as part of Heathrow Airport's Terminal 3 integrated baggage (T3IB) system. This follows successful testing of the innovative solution at terminals 3 and 5. Vanderlande has been awarded a prestigious baggage handling contract by Domodedovo International Airport. Terminal 2 is being constructed to facilitate the increasing numbers of passengers at the airport (30 million in 2015) and will extend Vanderlande's involvement following the installation of the baggage handling system in Terminal 1. The new system will be handed over in time for the FIFA World Cup, which is being staged in Russia in 2018. Vanderlande has officially opened the doors to its new cutting-edge office building in Veghel. A formal ceremony was held on Thursday 15 September, and a commemorative brick was laid in celebration of the milestone event. The names of seven Vanderlande employees, who have each been with the company for more than 45 years, were inscribed on the brick. Leading aviation industry experts have participated in a workshop called 'Baggage as a Service', initiated by Vanderlande. Following a successful trial period, Vanderlande has received an order to supply 160 innovative STACK@EASE manual loading aids to Hong Kong International Airport (HKIA). As the volume of passenger baggage continues to increase at the site, Airport Authority Hong Kong (AAHK) was keen to assess new initiatives. STACK@EASE was selected as the most optimal solution to enhance the automation of its baggage handling system (BHS), as well as the health and safety of handling staff. Vanderlande has announced order intakes of €1.2 billion for the financial year 2015 (1 April 2015 to 31 December 2015), a record amount, and €1.4 billion for the calendar year 2015 (an increase of 40%). With a highest ever order book of € 1.5 billion at the end of 2015, the company is firmly on track to achieve its strategic ambitions. It also reported a healthy profit of € 31.4 million over the nine-month period for the 2015 financial year. Vanderlande will demonstrate its latest automated baggage handling solutions at Passenger Terminal Expo 2016 from 15-17 March in Cologne, Germany. In particular, visitors will be able to see STACK@EASE, the manual lifting aid for flight make-up, which includes new overhead baggage reconciliation system (BRS) functionality. Vanderlande has been commissioned to supply a state-of-the-art baggage handling system for Bahrain International Airport (BIA). The agreement is for the design, manufacture and installation of a system capable of processing 4,700 bags per hour. 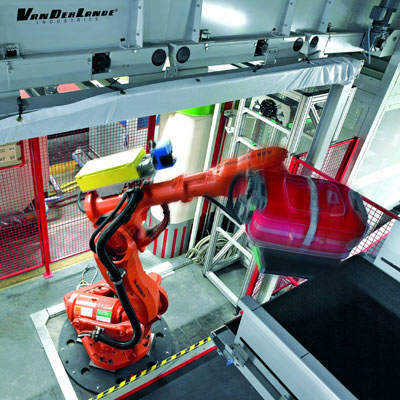 Vanderlande has secured a record order intake of €1.4 billion in 2015 for its integrated solutions in the baggage handling, warehouse automation, and parcel and postal markets, including the company's array of life-cycle services. With its automated reconciliation feature, Vanderlande's STACK@EASE was exhibited as an integral baggage handling system component at inter airport Europe 2015 in Munich, Germany. Vanderlande is implementing the SCANNOJET automated passenger checkpoint at Melbourne Airport in Australia, following successful installation of the system in Europe. Sabiha Gökçen International Airport (ISG) has selected Vanderlande to provide lifecycle services for its baggage handling system. Helsinki Vantaa Airport have contracted Vanderlande to improve the handling and storage of on-site transfer baggage. Vanderlande has announced a record turnover of €988 million for the 2015 financial year, which is a significant increase of 25% from the corresponding figure of €790 million in 2014. In addition, the total order intake was a record amount of €1,035 million for the same period, representing an increase of 10%, compared to €938 million in 2014. Prince Mohammad Bin Abdulaziz International Airport in Medina has chosen Vanderlande to be its preferred maintenance partner. Vanderlande has confirmed that it recently has secured orders of more than €200 million, which makes the total order intake €1 billion for the 2015 financial year for its integrated solutions in the baggage handling and parcel and postal sectors. Vanderlande Industries UK Ltd has been awarded a long-term contract to provide strategic IT development and support at Stansted Airport by the Manchester Airport Group (MAG). Global market leader Vanderlande will be present at the Bahrain International Airport Development Forum, Manama on 1-2 April, 2015. 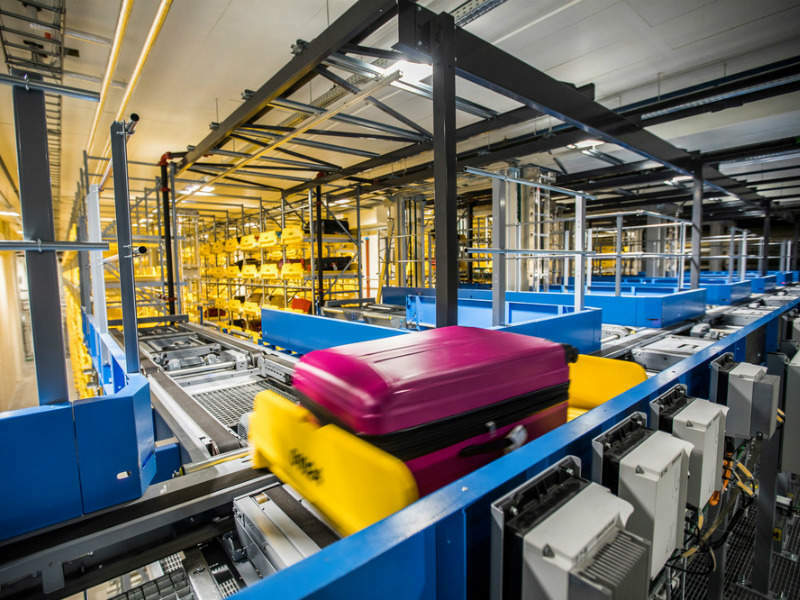 A long-term partnership that will see significant improvements to the baggage handling system at Cardiff Airport has been agreed between the airport and Vanderlande Industries UK, the UK subsidiary of the world's leading baggage handling systems provider. The UK subsidiary of Vanderlande, the world's leading baggage handling system supplier, has been awarded a contract that will see installation of a new tailored make-up carousel that will enhance the baggage handling system at Manchester Airport’s Terminal 1. A contract that will see a significant improvement in baggage handling operations at Norwich International Airport, has been awarded to Vanderlande Industries, the UK subsidiary of the world's leading baggage handling systems provider. Bergamo Airport (BGY) has awarded the order for both equipment and services for the upgrade of the arrivals area to Vanderlande Industries. 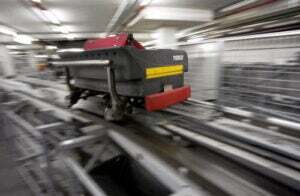 The extended baggage handling system will enable the airport to handle the expected growth of the number of passengers for the EXPO 2015 and beyond. Vnukovo Airport recently decided to extend its service agreement with Vanderlande Industries with one year. 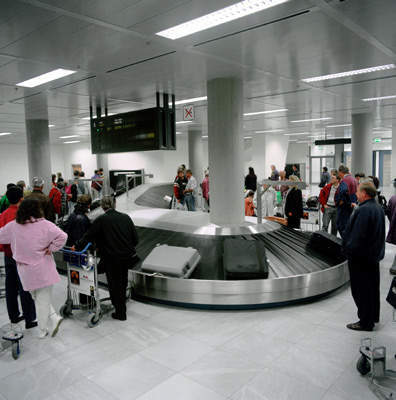 For the last three years Vanderlande has performed the maintenance of the baggage handling system in Terminal A, the airport's main terminal, with a team of professionals. This year Vanderlande Industries France and Type22 in the Netherlands signed the contract for the delivery and installation of four Scan&Fly self bag drop units at Paris Charles de Gaulle airport. The units are intended for a three month trial period and will be used by Air France passengers in Terminal 2E. Vanderlande Industries officially signed the contract it received for the realisation of the new baggage handling system which will be installed in Terminal 3 of Jakarta Soekarno-Hatta Airport (Indonesia). 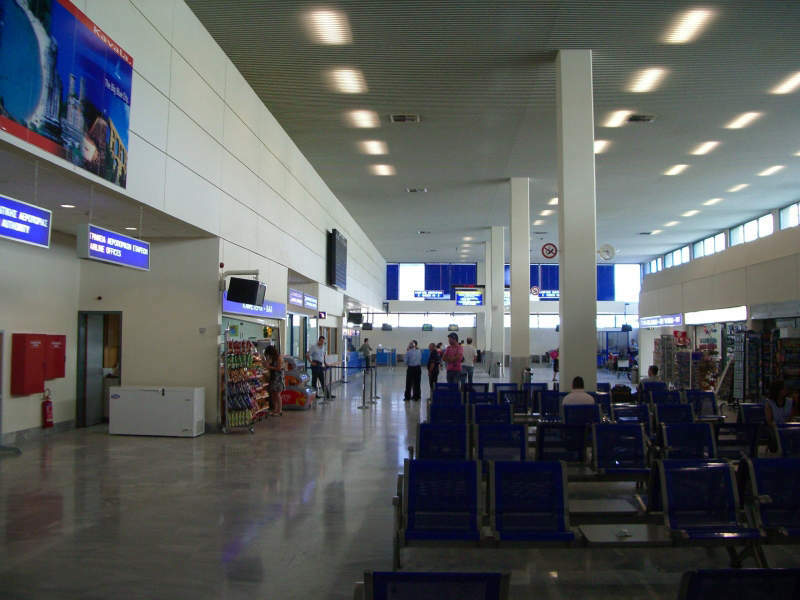 On the 14 September 2013 a new temporary international arrivals terminal for Jomo Kenyatta International Airport in Nairobi was opened and put into operation successfully. Vanderlande Industries was instrumental in getting the baggage system up and running again in a record time. Brasília Presidente Juscelino Kubitschek International Airport has awarded the contract for a new baggage handling system to Vanderlande Industries. 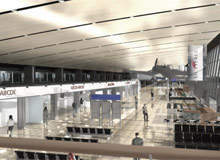 The project, with a value of around €12 million, covers the airport's check-in and baggage reclaim areas. As one of Brazil's most important airports for domestic flights, Brasília International Airport is also increasing its international flights serving destinations in the Latin America region and Europe. Effective from 1 January 1 2014, Govert Hamers has been appointed as President and CEO at Vanderlande Industries. He will succeed Peter Gerretse. Vanderlande Industries has officially signed the contract with Shanghai Airport Authority to supply the new baggage handling system for Terminal 1 at Shanghai Pudong International Airport. Vanderlande Industries automated material handling systems achieved net sales of €741 million in financial year 2013 (ending 31 March 2013). After remaining essentially unchanged since financial year 2010, due to the economic downturn, the increase of 31% reflects the market recovery and the increased market focus and international expansion of the company. Vanderlande Industries introduced its VIBES software suite for baggage handling during the Passenger Terminal Expo 2013, which took place last week in Geneva, Switzerland. Vanderlande Industries has announced that Michiel Peters will leave the company as of April 1st. Michiel Peters joined Vanderlande Industries in 2004, starting as Managing Director Operations, and has been in the position of CEO since 2009. Vanderlande Industries was selected by JFKIAT, LLC, which operates Terminal 4 at John F. Kennedy International Airport, as its official baggage handling system and Passenger Boarding Bridge (PBB) operations and maintenance provider. 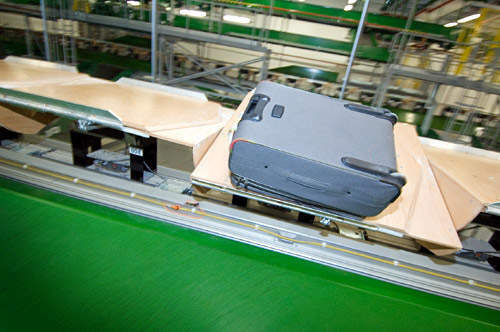 The seven-year agreement comes on the heels of JFKIAT's selection in September 2012 of Vanderlande Industries as the operator of the terminal's all new baggage handling system, which will open in early 2013. Vanderlande Industries has won the contract to supply a new baggage handling system for Brazil's São Paulo-Guarulhos International Airport. This is the country's busiest airport, handling almost 33 million passengers in 2012, with ambitious growth plans to take that number up to 60 million by 2022. In October 2012 Sheremetyevo Airport in Moscow, Russia, decided to outsource its operations for baggage handling on Terminal D to Vanderlande Industries. With this operations contract Vanderlande's services scope on Sheremetyevo Airport has expanded. Vanderlande Industries introduces MMS, a unique Mobile Maintenance Solution integrating both SCADA and maintenance management, on stand no. 320 at inter airport China from 26-28 September in Beijing. The MMS has been designed in partnership with the company SCHAD. Dallas/Fort Worth International Airport (DFW) announces Vanderlande Industries as the official operations and maintenance provider for its Terminal E inline baggage handling system (BHS) as well as its 35 boarding bridges (PBB). Vanderlande Industries was recently awarded a contract to deliver the baggage handling system for Hanoi International Airport's new terminal 2 in Vietnam. The Japanese main contractor Taisei Vinaconex Joint Venture (TVJV) and consultant JAC as well as the Vietnamese end-user ACV (Airport Corporation Vietnam) all chose Vanderlande's proposal as the best technical solution. 27 June 2012 in Las Vegas, Nevada, marked the grand opening of the new international section of Terminal 3 at McCarran International Airport (LAS) in Las Vegas. Terminal 3 features Gen2 radio frequency identification (RFID) technology as part of its baggage tracking system and is the largest Gen2 installation to date in North America. Vanderlande Industries has won the order to supply the new baggage handling system for the renovation of passenger Terminal T2 at Rio de Janeiro's Galeão International Airport in Brazil, managed by Empresa Brasileira de Infrastrutura Aeroportuária (INFRAERO). In June 2012 AENA Aeropuertos SA (AASA) assigned the new operations and maintenance (O&M) contract for Terminal 1 of Barcelona El Prat Airport to Vanderlande Industries, Spain. The contract consists of all O&M activities for the baggage handling system with a duration of one year and the option to extend to up to three years. Vanderlande Industries achieved an order intake of €713 million in financial year 2012 (ending March 31st 2012), an increase of 40% over the preceding year. All market segments contributed to the increase in order intake. Vanderlande Industries has received Cradle to Cradle, certification silver, for its sustainable Blueveyor, which is made of non-toxic, recyclable materials that can easily be disassembled and re-used. Vanderlande Industries and Azerbaijan Airlines (AZAL) signed a contract to supply the baggage handling system for the new terminal at Heydar Aliyev International Airport in Baku, the capital of Azerbaijan, in a project worth €5 million. Vanderlande Industries, a leading global supplier of automated baggage handling, material handling, and distribution systems, is honored to announce that it has been awarded a contract for the first baggage screening recapitalisation project for the San Francisco international airport (SFO). Vanderlande Industries has opened a new office in Sydney in response to the increasing demand for smart material-handling solutions in Australia. In November 2011 Vanderlande Industries was awarded the contract to supply an upgrade for the existing baggage handling system of Göteborg Landvetter Airport in Sweden. With two new orders, Vanderlande Industries is the market leader for automated baggage handling systems in Indonesia. Three of the top four largest airports in Norway are now being served by Vanderlande Industries. 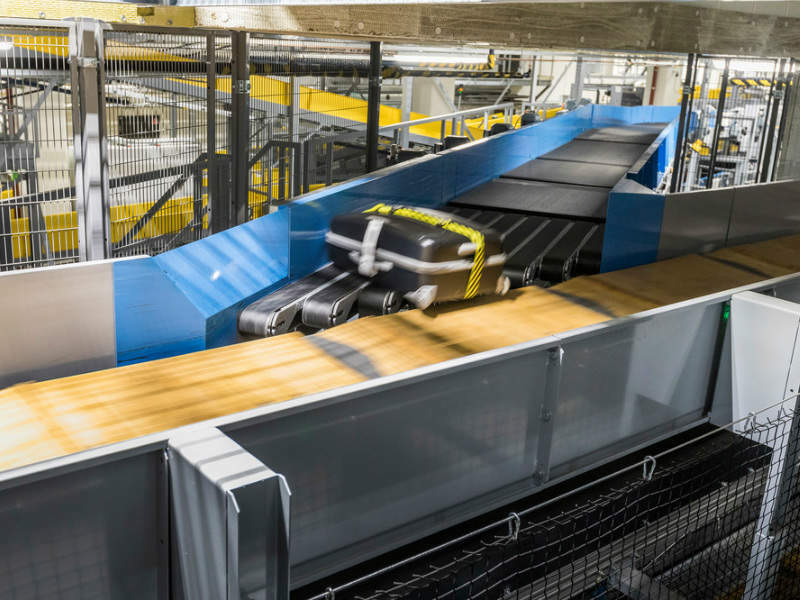 Vanderlande Industries completed the first part of the baggage handling system for Edmonton International Airport (EIA) in Alberta, Canada. Vanderlande Industries will build and integrate a new fully automated baggage handling system for Pulkovo Saint Petersburg Airport in Russia. Get the latest news and developments in material handling solutions on your laptop, mobile phone or tablet with Vanderlande Industries' new website. After working very closely together for many years, Vanderlande Industries and Beewen agreed on a take-over of Beewen by Vanderlande. This take-over further strengthens the position of Vanderlande as an integrated player with a full product portfolio. Vanderlande Industries has been awarded the contract to supply and install the baggage handling system for the new terminal at King Abdulaziz International Airport in Jeddah, Saudi Arabia. Specialist baggage handling solutions company, Vanderlande Industries UK, has won the prestigious Airport Operators Association (AOA) award this year for best business partner. Vanderlande Industries will be at Transpoquip Latin America 2011, Expo Norte, Sao Paulo, Brazil, 22-24 November 2011. Visit Vanderlande Industries on stand 1738. The airport authorities of Vietnam have signed a contract with Vanderlande Industries to supply the baggage handling system for their new international passenger terminal building at Danang Airport. Vanderlande won the tender under fierce competition with a fitting and competitive offer. Minimising the carbon footprint is becoming increasingly important, and many companies consider it to be a moral obligation to do so. At the same time this enables them to reduce operational costs, as a direct result of the lower energy consumption of their material-handling systems.